Bethel Heights Vineyard was founded by Ted and Terry Casteel, Pat Dudley and Marilyn Webb, and the families still own and manage the business. The Casteels were in academics at the University of Michigan teaching English. They visited Oregon and fell in love with it. They then gave up their old lives and went to University of California at Davis to study viticulture. 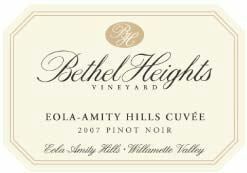 Planted between 1977 and 1979, Bethel Heights Vineyard was one of the first vineyards in the Eola Hills. The first wines were made in 1984. 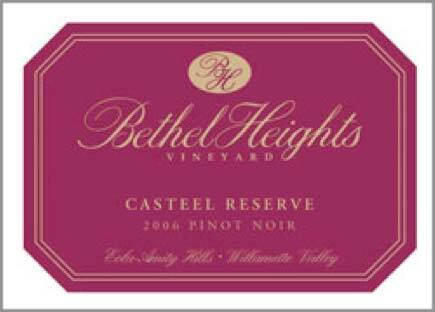 Bethel Heights now produces approximately 10,000 cases yearly, most of which comes from its 70-acre vineyard and the adjacent Justice Vineyard planted in 1999. 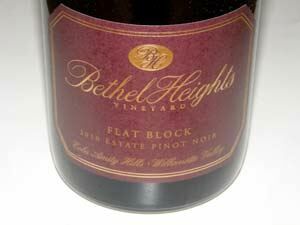 The winery produces seven a Pinot Noirs, including an Estate, and several block-designated special bottlings, usually the Flat Block and the Southeast Block, vinified separately from adjoining parts of the vineyard. 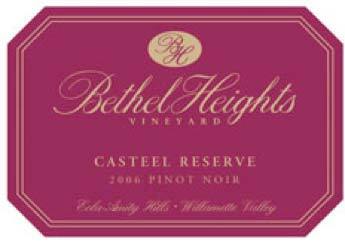 A barrel selected and blended reserve, the Casteel Reserve, has recently been added to the lineup. A vineyard-designated Justice Vineyard Pinot Noir is also offered. The next generation, cousins Mimi (viticulture and general manager) and Ben (winemaking) Casteel are now involved in the winery. In 2005, Terry Casteel, who was the winemaker, had to step back from his daily duties because he developed Parkinson's Disease and was starting to lose his sense of smell. 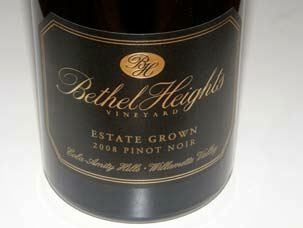 Mimi has made incremental changes in trellising and canopy management on the home vineyard, and Ben has altered his father's winemaking regimen, altering his cap management, his press fractions, adding a bit of whole cluster fermentation, all of which broadened the textures and flavors of the Bethel Heights Pinot Noirs. 102 acres are currently owned and annual production is 12,000 cases. The winery tasting room is open from May through October Tuesday through Sunday from 11-5 (November, March and April, weekends only). 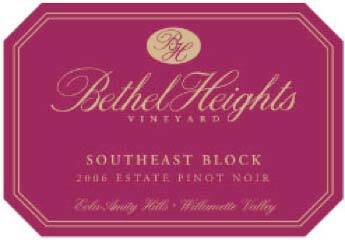 The address is 6060 Bethel Heights Road, NW, Salem OR (about twenty minutes northeast of the town of Salem). 503-581-2262. The Bethel Heights B&B is directly across the street (503-364-7688). The wines are available on the website with some distribution to fine wine stones.